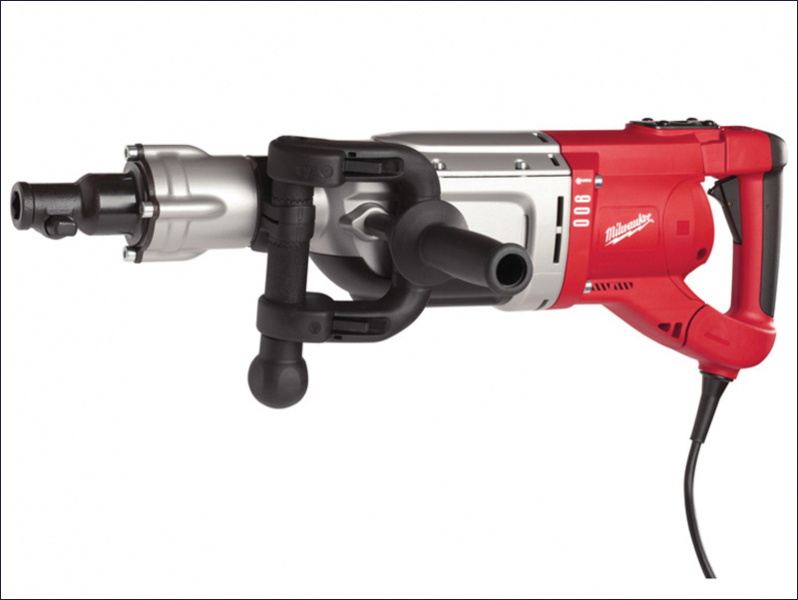 The Milwaukee Kango 900K Breaker with K Steel Reception. It has a highly robust design with fewer vulnerable parts and high motor power input for enhanced reliability and durability. This breaker offers superior performance with high blow energy of 27 joules. The AVS (Anti Vibration System) is incorparted on all handles (rear, additional front spade and straight handle), and with soft-grip to decrease user fatigue. Other features inculde: full-wave digital electronics, variable speed electronic, softstart, no load speed limitation, lock on switch, service indicator light, automatic cut off carbon brushes, and speed preselection switch (A - G). Comes supplied with a heavy-duty carry case, 6 metre cable, front spade handle, straight handle, dust shield and grease. Single Blow Energy: 7 - 27 Joules. Hammer Rate Under Load: 975 - 1,950 bpm. Vibration level (3-axis) breaking: 11.0 m/s2. This the 110 Volt version for site use.